Big Data at WCM: Rather than a data warehouse, which is built to spec and then filled in an orderly fashion, WCM keynote speaker Richard Vermillion wants to fill a "data lake" with information and then figure out how it might be useful. For warranty and service contract industry professionals, this will allow new sources of data to help analysts predict what happens to products in the field, and how and why they fail. 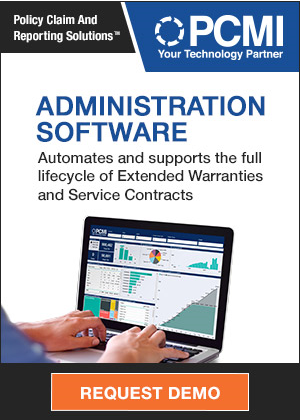 Aerospace Warranty Report: Because a few big manufacturers dominate the industry, their problems or successes with warranty cost control can change the industry averages significantly. But over the long term, the trend is clear: aerospace suppliers have learned how to cut their warranty expenses and keep them low. The OEMs? Not so much. Harnessing Big Data: As more "big data" sources become available, extended warranty administrators can expand from break/fix into highly customized offerings, preventative maintenance and product monitoring services. But first they will have to decide what data is both meaningful and reliable. Solar Power Equipment Warranties: First Solar and SunPower have emerged as major warranty providers, building megawatt power plants in the desert. And Tesla Motors, while not solar powered, has emerged as a major warranty provider in the "green" energy industry. They're still not as big as GE or GM, but they're no longer small either. Telecom Equipment Warranties: With so many big companies off the list after acquisitions and bankruptcies, many of those still left are finding it hard to keep costs low. But a handful are making spectacular progress, according to the latest data. Warranty Acquisitions: Big companies are buying smaller companies all the time. But then they have to merge their product lines, combine their warranty reserves, and publish all the details. Divestitures, meanwhile, also happen once in a while, but not as often as entire companies are sold as a single unit. Warranty Cost Reductions: While the warranty costs of most companies are falling, the causes aren't always the same. The big companies are making the process more efficient. But for many of the smaller companies, the biggest cost reductions seem to arise after mergers and divestitures. The Journey: The big difference between warranty and transaction processing is the human factor. Caterpillar has found that heeding the human factors has helped it accelerate a global warranty improvement effort significantly, cutting years off a journey that began in 2008. Appliance & Building Material Warranties: The economic downturn that started with the homebuilders is showing its effects on the makers of appliances, fixtures, tools, furniture and building materials. But some segments haven't seen very big recent declines in warranty expenses, and some companies have actually seen their warranty costs rise. Warranty Trends in 2008: With the filing of the last few financial reports of this cycle, it's time to look at warranty costs by industry. The big story in 2008 is how falling sales have made warranty claims less affordable for some companies. Warranty reserves peaked at the end of 2007, but claims are still rising. And for hard-hit sectors such as autos and homebuilding, the worst may still be ahead. Security Equipment Warranties: Although big ticket military contracts don't usually include what we'd call product warranties, the maker so numerous other products that help protect people and property do pay claims and maintain warranty reserves. What follows are snapshots of the past six years of warranty expenditures for four of the market leaders in their respective corners of the security marketplace. 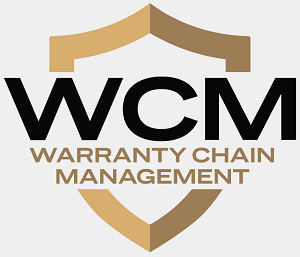 Warranty Management: Value and price are affected by product quality, which can be measured by fluctuations in warranty cost. But warranty is too often treated as merely a cost that must be reduced, without heeding its link to quality, price, and ultimately profits. And warranty is very different from accounting in that a big part of the job is using probability functions to predict the future. Medical Equipment Warranties: While claims are increasing, sales are rising a little faster in the medical and scientific equipment industries. And at least eight companies have cut their warranty expenses by big percentages over the past five years. Top 100 Warranty Providers: Key ratios show how some manufacturers have made fairly radical changes in their warranty finances over the past year. But, like a dog that doesn't bark, what's remarkable is how few of the biggest warranty providers have seen relatively big increases or decreases since March 2007. Warranty Benchmarks, Part Two: Big companies really do pay more. The larger the manufacturer, the more warranty claims they pay. And in both the automotive and computer industries, OEMs tend to pay more claims than their parts suppliers. New Home Warranties: Pre-fab and mobile homes have much higher warranty costs than site-built homes. But even for site-built homes, there are big differences between the builders in the way they save and spend their warranty funds. Top 100 Warranty Providers: In this midyear report, we look at who's up and who's down compared to a year ago. Driven by acquisitions and longer warranties, some companies are paying out more than ever before. But others have found ways to cut their outlays by big numbers. Extended Warranty Association: A new trade group aimed at vehicle service contract administrators plans to focus on certifying inspectors and other business issues, leaving the lobbying and legal efforts to others. But is that enough to attract the big industry players? Automotive Warranty: The Big Three feel the bite of increased warranty costs in the first quarter just as sales begin to fall. But how can companies be compared over time if their accounting standards and even their currencies are different? Part Seven: Warranty fraud is a big problem for both manufacturers and warranty administrators. What's surprising is how deliberate and organized their schemes have become. Part Six: Warranty fraud is a big problem for vehicle service contract administrators. But surprisingly, the biggest culprits are usually the mechanics and repair shops, not the consumers. Auto Warranties: While the Big Three sold two-thirds of the vehicles purchased in the U.S. in 2003, they settled three-quarters of the warranty claims. On average, Detroit pays twice as much in claims per vehicle as Toyota and Honda. But that's not the only quality gap. Recent research finds striking gaps between perceived and actual quality levels. Motown Breakdown: Auto supply glut could drive Detroit into unprofitability, Ford seen as the most vulnerable of the Big Three.